When former computer-crimes prosecutor Chris Bruen and retired hacktivist Zoey Doucet open their San Francisco law firm, it's the best day of their professional lives. That is, until their first client walks through the door. Ian Ayres is an "ethical hacker" who was hired by a company to test the security of its online systems. On the job, he uncovered some highly classified information: the existence of a top-secret government surveillance agency and its Skeleton Key, a program that can break any form of encryption. Now Ayres is on the run. And after government agents descend on Chris and Zoey's office during their potential client's visit-killing two employees-they, too, are forced to flee for their lives. From California to Ecuador to Mexico, the trio must try to evade a hired assassin, a bloodthirsty drug cartel, and their own government. But how can they escape an adversary that can access every phone call, every email, every video feed? 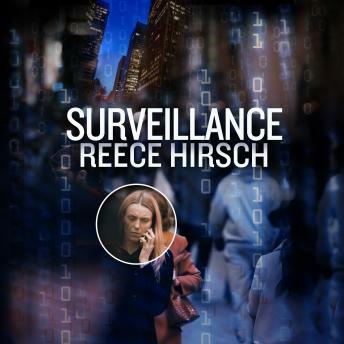 Surveillance is critically acclaimed author Reece Hirsch's third book in the Chris Bruen series.